Your child has always wanted to own a horse. You want to improve your riding. You want to get into show, companionship, and more. Whatever your reason for owning a horse, it’s important to know the reality of owning one (or more) of these majestic animals. It’s a good idea to obtain horse insurance. You can obtain a policy for your course to protect against horse-related accidents as well as their mortality. It will make it easier for you to get your horse the care that it needs throughout the year. Additionally, if your horse dies, you may be able to protect your investment with the right policy. Horses need a significant amount of care. You will need to decide where your horse is going to live. Many people choose to place horses into stables where the horses are cared for. You can, then, go riding at that location. Wherever you decide, you need to make sure that the horses have plenty of room to run and are going to get the care that they need. Horses eat a lot, especially as they’re young and growing. You want to make sure that you’re feeding them nutritional grains so that they remain healthy. This needs to be added to your budget. You also have to decide who is going to be responsible for feeding the horse on a daily basis, whether it’s you or a person within the stables. Ultimately, owning a horse can be exciting. They provide a significant amount of companionship. 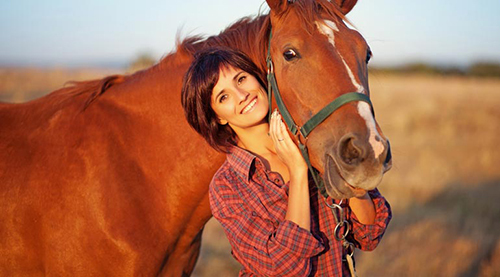 With an insurance policy and the right level of care, your horse can be around for many years to come. You simply want to know what’s involved with owning a horse before you make the decision to buy one. This entry was posted in Pet and tagged horse, horse liability, horse ownership, horse training on January 15, 2019 by Mommy Yam.